We have simplified getting access to the additional resources for students. One no longer needs to create an account or use the access code to register for the product. 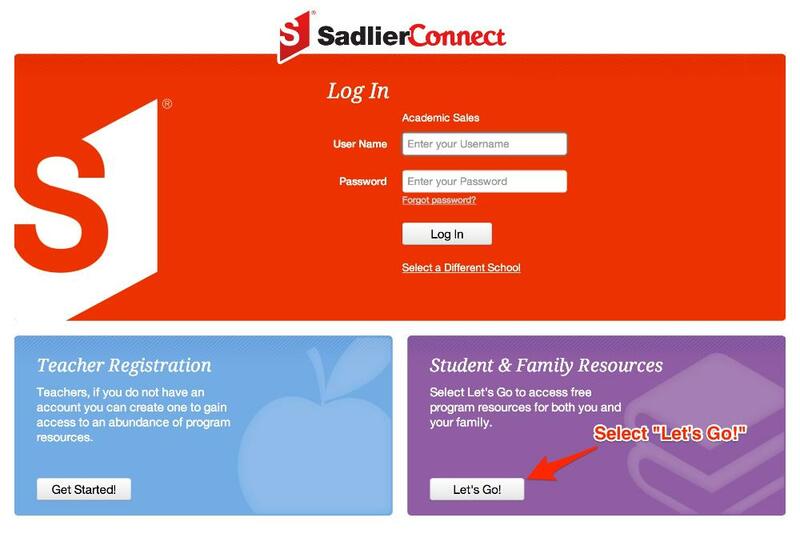 You can go to Sadlier Connect and select the "Let's Go!" button found in the Student & Family Resources box in the lower right corner. 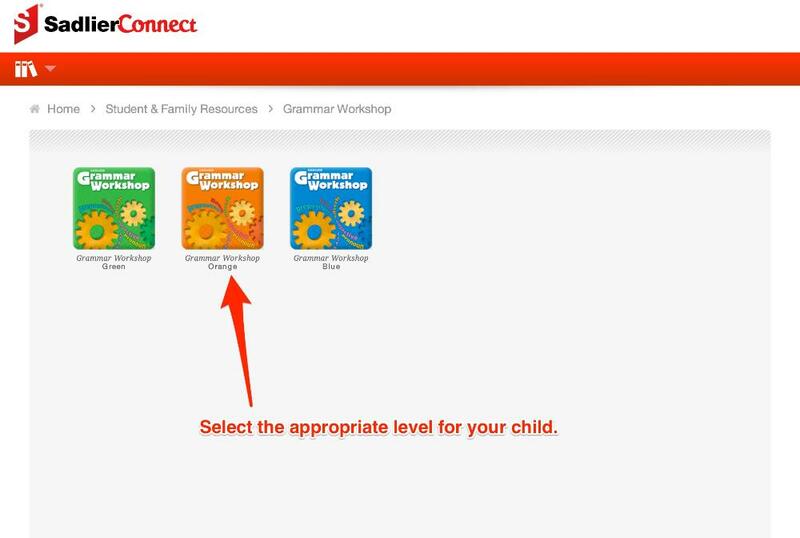 After selecting this, you will select the program your child is using then the appropriate grade level. 1. 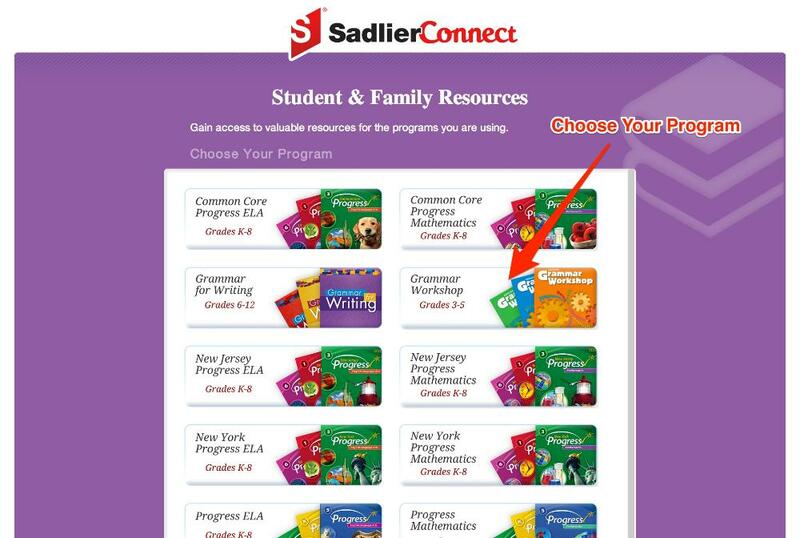 Go to Sadlier Connect and select "Let's Go!" button in the Student & Family Resources section. 2. Choose the program that your child is using. 3. Select the grade level of the program your child is using. 4. 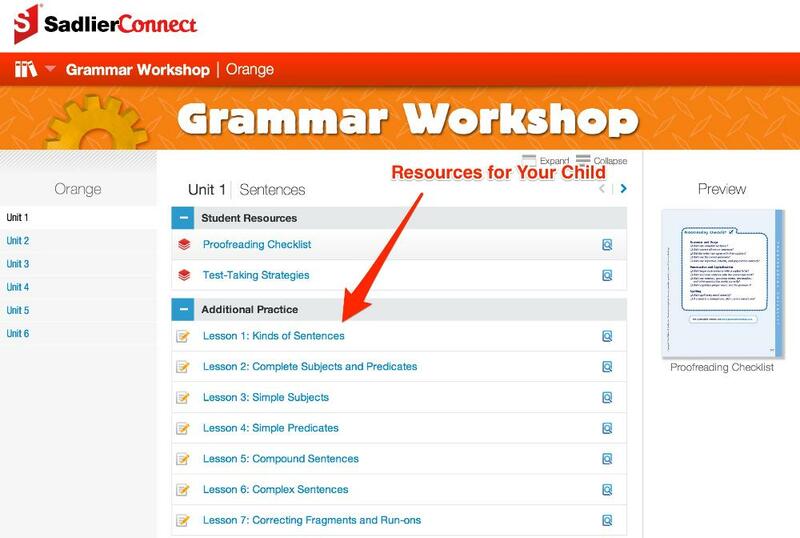 Select the resource you want to use in the program with your child.